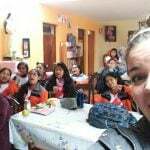 Volunteer Peru: This experience as a whole has surpassed my expectations as a volunteer. I am taking way more out of this program that I feel I even put in. The growth that you see yourself is something only time can prove. ABV was the more credible program I found online after many weeks of research, and they have not disappointed me one bit. Monday through Friday I woke up at 7:30 am to get ready to go volunteer at the clinic. Maria would be awake and put out a breakfast, and we would have a quick convo before I head out at 8:30 to get to the clinic. I took the bus, with a possible two different buses, and got to the clinic at 9:00 am, right when the doctor came. Depending on the businesses of the day, I would take the bus home from 1:00 – 1:30 pm and get to the house about thirty minutes later. Then Maria would have the table set for us to eat lunch- We relaxed, talked, ate our lunches, and I would either explore the city in the afternoon as per Maria´s suggestions or would hang out at the house with the family. 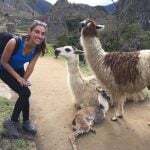 On the weekends was my time to explore the extensive history of Cusco, and I would go on trips that Maria, along with an extremely friendly travel agent, would plan with me. Host Family: How caring generous, and genuinely happy the host family was to have me in their home. Seeing that it was such a pleasure for them made it even a greater pleasure for me. Program: How easy, and effortlessly coming to a different continent was to plan. Organize, and communicate. Country: How kind all of the Peruvian people are, and how welcoming they are. Host Family: Not having any other volunteers with me. This was slightly challenging in the beginning. Being in a new country, a new city, it would have been nice and helpful to have someone else experience it with me – but this, in the long run, did not deter my time. As I got more comfortable in the house, city and with the host family, I ventured out more. Program: Not exactly knowing where my place was and what was expected of me. A few days into the clinic though, it became slightly easier and I became more comfortable in the environment. Country: Finding places to eat. I had a terrible fear of getting sick and always wondered which places were best to eat at. It is always nice and part of your mission as a volunteer to donate to the cause or place you are volunteering at. This shows a huge sign of respect. Being respectful is key, in any workplace, especially a new work in a new country. Brushing up on Spanish will build rapport with those around you, and will definitely improve when you get here. Understanding the culture of the country is also important. Prior to coming to Cusco, I tried to read up on some of the cultural differences. Peru is a country traditionally based on a maternal root. Having the slightest bit of knowledge such as not sitting in the front rows of the bus, because this is for elderly, mothers and pregnant women, as well as knowing that an appropriate greeting involves a kiss on the cheek, will build rapport, and make you feel like you are part of the community as well. 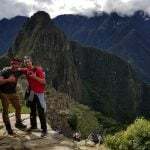 A far as money is concerned, if you want to do the big trips such as Machu Picchu and Lago Titikaka, the travel agencies take American dollars and it is roughly $700 more or less for both depending on the packages you receive. Things in an Americans perspective are much cheaper in Peru – which is good, but you also want to have enough money. I did not eat out, being that I ate at the house every day. Went to Machu Picchu, Lago Titikska, Puno, The Sacred Valley, and bought the tourist ticket in Cusco ( a ticket that costs 130 soles and allows you access to many many tour opportunities in Cusco, asks about it) and on top of that bought souvenirs for myself and my family. I was in Cusco for 2 weeks and brought roughly $1,000. This is just an example, but everyone budgets differently. My host family house did have wifi, it was an additional US$20 upon my arrival and was completely worth it. With the internet, you can video call your family and friends, call them regularly through facetime audio, Viber, or WhatsApp, and also have access to email, Netflix, or anything else you may desire when you´re down here. Whether you are coming in the dry or wet season, I would highly recommend packing a windbreaker, a raincoat, hiking boots, and many layers. If you are in a medical type of program, please pack scrubs. Did I mention to pack hiking boots? They will come in handy and they are the boots I have worn most since I have been here. Host Family: Someone is welcoming you into their home. – their home, their accommodations, and your open mind. Of course is something is detrimental to your health or safety, please inform somebody. Otherwise, you must have an open mind and join in the lifestyle. You are responsible for making yourself comfortable. The first thing I did when I arrived was going to the market and by two jugs of water. I kept them in my room and filled a water bottle I had. This was my assurance that I constantly had clean water. The houses in Cusco also do not have heat or air conditioning. Knowing this, I packed a throw blanket from home because I wanted to make my room feel homier and I knew I may need it. 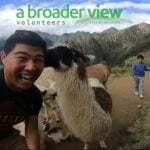 Program: ABV does a great job with placement and communicating with you, but when it comes to changes that may occur in your schedule you need to inform them and let them know. Country: Cusco is a city, so be mindful of your things at all times like you would in any other city. Treat people with respect and you will be respected. My biggest suggestion on doing this is learning some basic Spanish. It will help on the street and in taxis as well. This experience as a whole has surpassed my expectations as a volunteer. I am taking way more out of this program that I feel I even put in. The growth that you see yourself is something only time can prove. ABV was the more credible program I found online after many weeks of research, and they have not disappointed me one bit. The entire process has felt seamless, and even when there were small bumps in the road, such as my outgoing flight being delayed, ABV was there when I called and made arrangement accordingly. One of the most important concerns I had was my safety, and I can confidently say, there has not been one time when I felt like I was not being treated correctly, or not safe. This opportunity has been fantastic! Meals: Three meals a day, none of which got me sick. Delicious, flexible, and comfortable. Security: Very safe. I had the keys to the two outside doors and a key to my room personally. I never once felt at danger. Quality: Fantastic! Coming to another country and being welcomed into a home and being shown a community in a safe and friendly environment is a great quality to me. The ABV coordinator, Maria Elena, was efficient, clear, and a pleasure to work with. 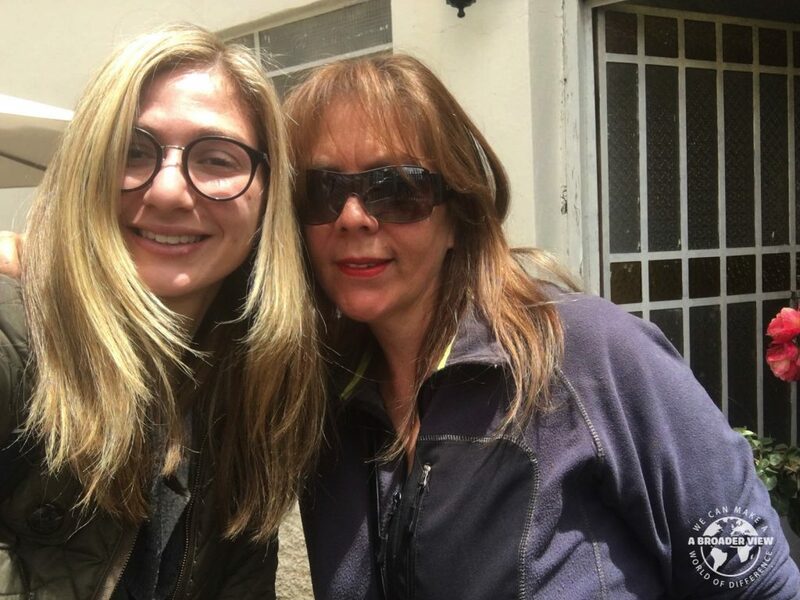 Maria spoke to me through the application WhatsApp the day before my flight as well as when I was at the airport. 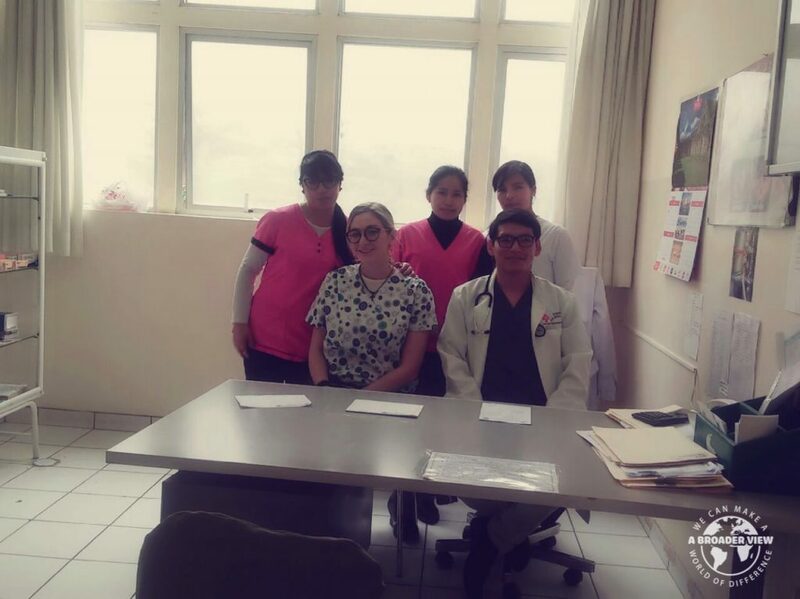 The coordinator informed me again of what I needed to do once I landed in Cusco and was there for me outside when I finished at the airport. She instantly started talking to me about Cusco, and where I will be working. She assured me that I would like the location because she knows the people who work there, and it is mostly younger women – she was right, I liked it a lot. Every night we would go over what my plan was for the next day, and she was there for me when I thought I wanted to change my schedule. She always brought different options to the table. Maria went to work with me the first day and then came another day to take pictures. She also introduced me to a travel agent that ended up booking all of my trips and treated me like family. I can not express how friendly she was, and how confident I was with her coordinating the events I did with the program. I volunteered from 9 to roughly 1:30 every day. I would then go back to the house, eat with Maria Elena and sometimes her family. We would hang out, talk, and relax. Some days I stayed in the house, other days Maria Elena and I would go into town, the supermarket or Maria Elena would make a suggestion on where I should go into town. One thing I did upon her suggestion was seeing a show of all the folk dances and songs of Cusco. It was only 30 soles and about an hour. It was in a tiny theatre and was something I enjoyed. 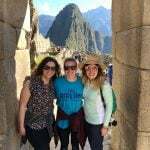 Then on my first weekend on Saturday, I did the sacred valley which I loved, then overnight went to Machu Picchu and went to Machu Picchu on Sunday which was amazing, and came back to Cusco Sunday night. During my second week, I did the city tour and then my second weekend I left Friday night to go to Puno and Lago Titikaka. I returned early Sunday morning and then at 8:30 am met the bus to go to Maras and Moray which was also such a beautiful drive and experience. Accommodation: I loved lunch time. I never paid too much attention to lunch in the US, and my family never eats lunch together because everyone is at work. 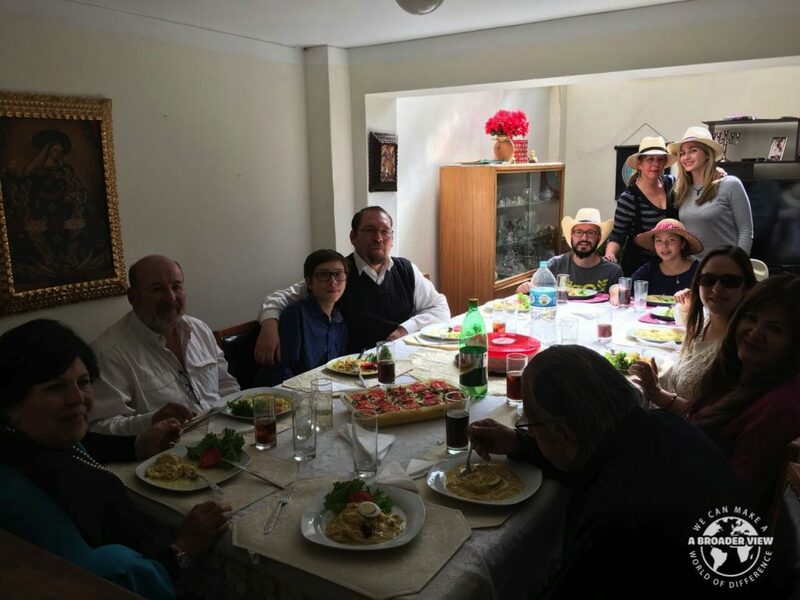 I loved coming home in Cusco and eating lunch at a table with others. Maria Elena also has a great assortment of tea, so lunch was usually followed by a nice little tea break. 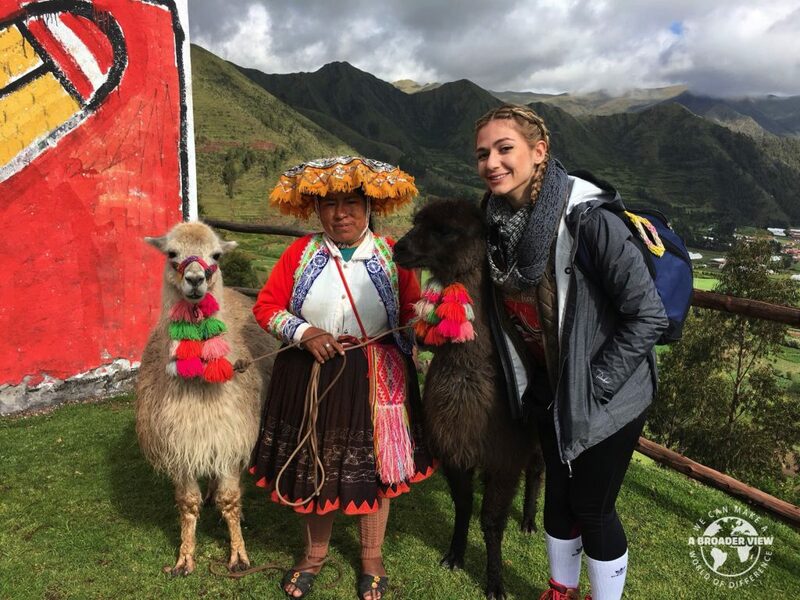 Country: I loved the sacred valley. It was my first tour, so maybe that’s why it stuck in my head. I just remember thinking like, wow this country is beautiful, and there is so so much history here. I also loved my group for the sacred valley and had a great tour guide. ABV USA answered all of my emails (there were a few) and all of my phone calls. The orientation packet emailed to me was also extremely helpful, as well as Sarah. I spoke to her multiple times over the phone about concerns I had with safety and packing and she always answered promptly and did not steer me wrong. The volunteer guides and orientation booklets on passed volunteers suggestions is also a list I personally used to help myself pack and was very helpful. It was easy to fill out. It was also easy to access, and easy to apply as well as easy to view all the prices that were involved in the program. I like how you can choose your own dates, as well as had a quick hear back time from the program about being accepted. It was very flexible being that I applied as last minute as I possibly could, unintentionally, for the dates I wanted, and I did not feel behind in the planning process at all. I did a lot of research online. I also spoke to many volunteer programs. After finding ABV, I read blog websites on reviews, as well as looked at my school’s websites. Once I saw that my undergraduate and graduate education have sent students through ABV, I knew it was the right choice. Sure, I´d like to help. Email is probably best for reaching out.